A Thought Leader is someone who’s opinions on a specific subject area are that of influence. It’s 2018, and in spirit of transparency, something needs to be said about Thought Leadership; if you want to be a thought leader and someone of influence you need to consistently up your game and you need to act in confidence. There are two areas in my life that I am steadily building confidence in and throughout mentoring and work I have come to realize that I am in some situations already a thought leader, and if not definitely on the path to becoming one. The first is men’s mental health awareness and male vulnerability. Through my company and movement www.nodeadbeatsociety.com I have put myself in a position where not only writings are influential and helping many, but I have become a go to for many men as they struggle in certain areas of their lives. I have built NDBS into a social power house, with well over 45,000 followers and daily growth the movement is empowering men across the world to search deep within themselves and push themselves to become better human beings. It’s created open dialog for fathers to share their journeys. The second is Digital Marketing. I have been a “Marketing Geek” my entire life and have been building websites since the late 1990’s. My career is in this field and I push myself to continually educate myself more than anyone I have met in my area of expertise. That on top of an incredibly strong work ethic has made me a go to for many who are in need of my services, or even just a discussion relating to branding and digital strategy or execution. I literally love the work I do, which means I no longer wake up dreading the work day. Even the toughest days or project complications become engaging challenges and things I look forward to solving. All of this being said, it’s important to know that I am extremely humble. I am not a whizkid, I am not the best at anything, I am just willing to put in the work. 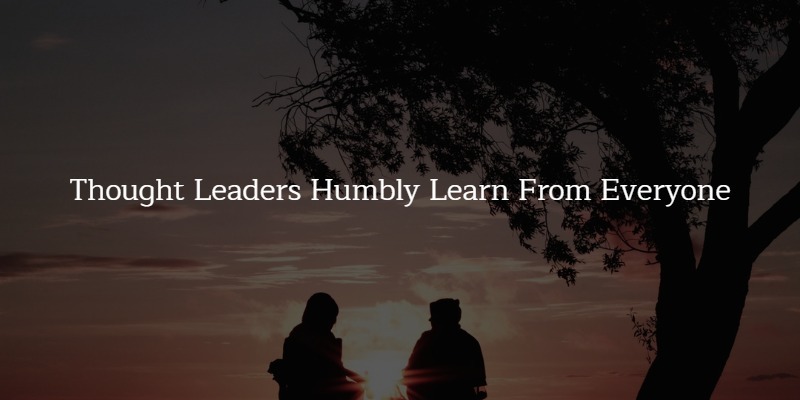 I treat everyone around me who I know has skills I need to develop (in any form) as a mentor and I am extremely transparent with my humbleness. I love being around and working with people who have knowledge that I don’t or different perspectives that often push me to think about projects and things differently. Make sure your social media pages (for your brand) are optimized. Speak publicly and speak confidently. Network with those whom you feel are more successful than you and humbly ask them for advice. Never approach a situation or discussion thinking you won’t learn something. Every single person in existence will know more about a specific subject than you do. Humbly learn from everyone.